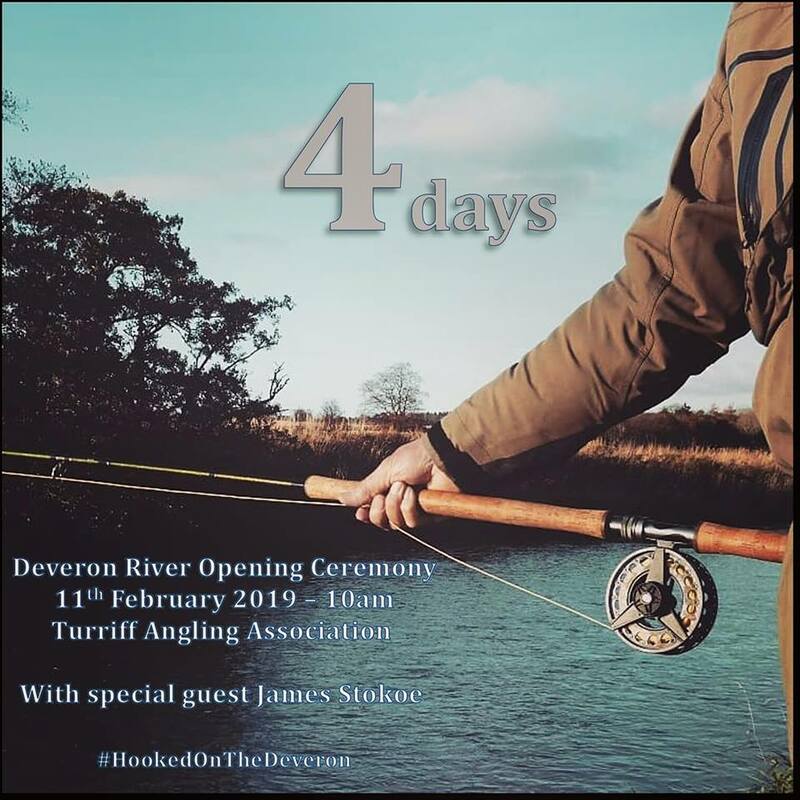 Join us for the River Deveron Opening Ceremony at 10am at the Turriff Angling Association Lodge! Special guest James Stokoe will kick the ceremony off by presenting Mr Richard Breakell with the Morison trophy for his 22lbs spring salmon, caught and safely released at Muiresk Fishings, and officially open the salmon season with a dram of 18 year old Deveron malt whisky, with Richard Breakell making the first cast. Many thanks to Henderson's Country Sports for donating the salmon rod, which will be presented to the trophy winner, Macduff distillery for the Deveron malt whisky, Dean's for their donation of delicious shortbread and Turriff Angling Association for providing such a beautiful location to hold the opening ceremony! 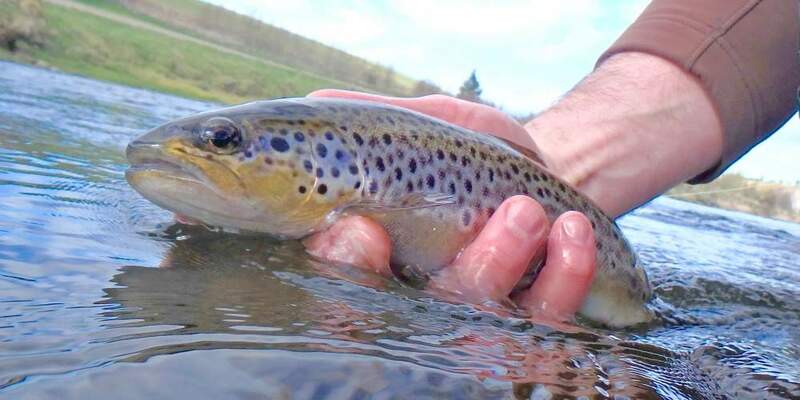 Cracking fish, was a little further downstream from you guys yesterday, fishing was good but nothing of this size. A tad Windy today, but in between the Hail, the rain and the Hooley, the sun kept appearing. Everytime it did there was a flurry of olives hatching off, in quite large numbers at some points. 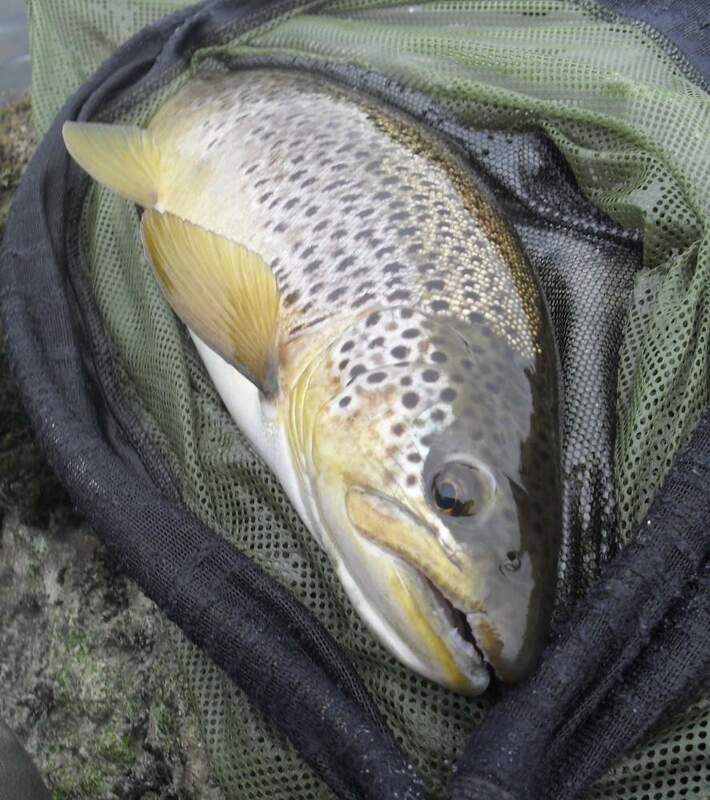 So fed up with trying to pitch tungsten nymphs into the wind, i switched to the dry and hunted down some rising fish. I found a few at the top of the beat, and then a few more at the bottom. 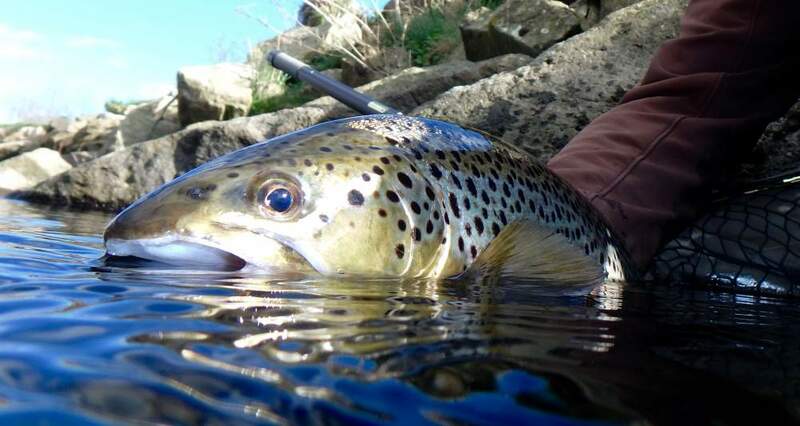 Worth the gamble though as i found another group of rising fish, hitting the olives every time the sun came out. An inch or so shorter than yesterdays one, but it took a dry, so i'm a happy bunny. 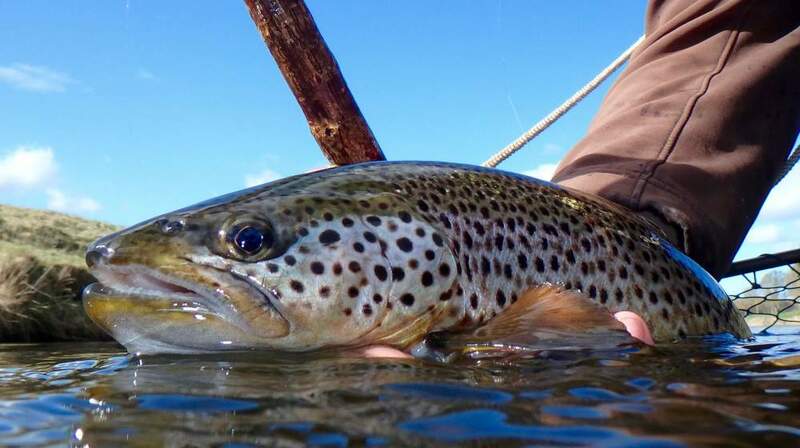 Trophies yesterday on the nymph and today almost trophies on the Dry. Well played Sandy. Cracking opening batting. 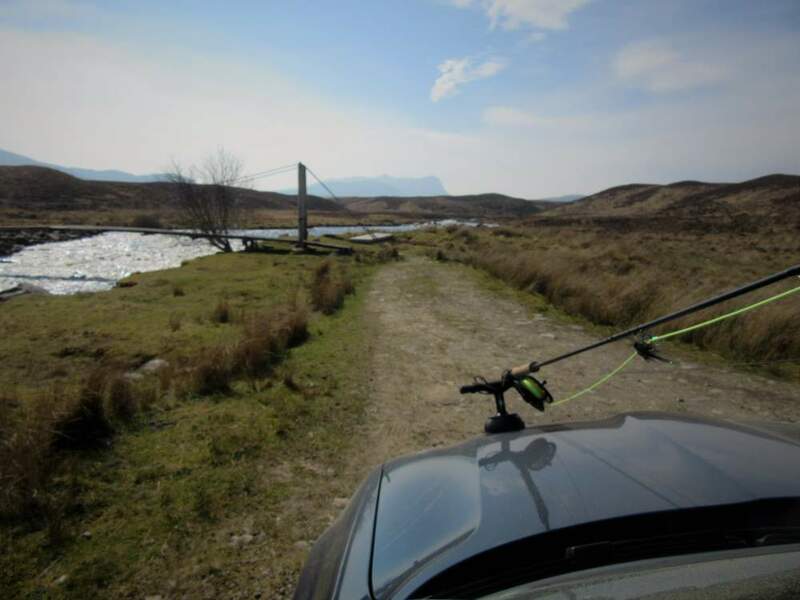 Out with the digs today and the wind was fierce but you are right that when the sun came out it was lovely. Away again for the next two weeks so hopefully I will be out when that is over. And i was back on the river, but without the Hooley and the rain. 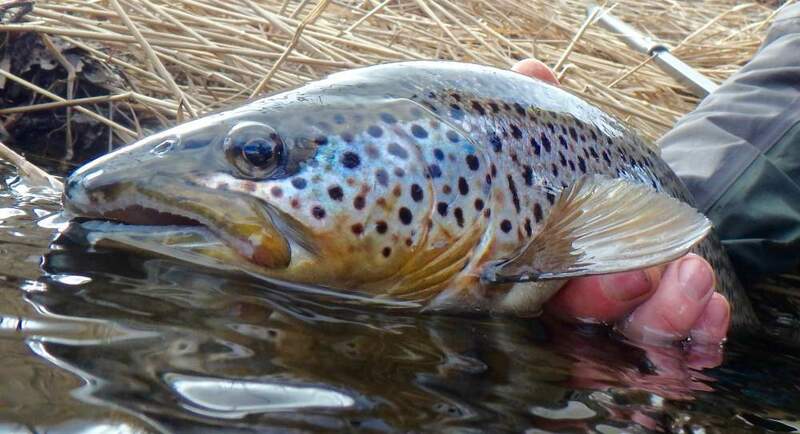 But come lunchtime, as one would hope, there started to trickle off a few olives and some March browns. And some very pretty smaller ones in great condition. CDC Spiders seemed to be the way forward, with some of the other dries getting rejected. The cripple was accepted almost every time. Lovely day to be out, with the water in perfect condition and loads of flies. a CDC spider sounds interesting. Surely with the hackle being so soft all it does is fold along the hook shank though? 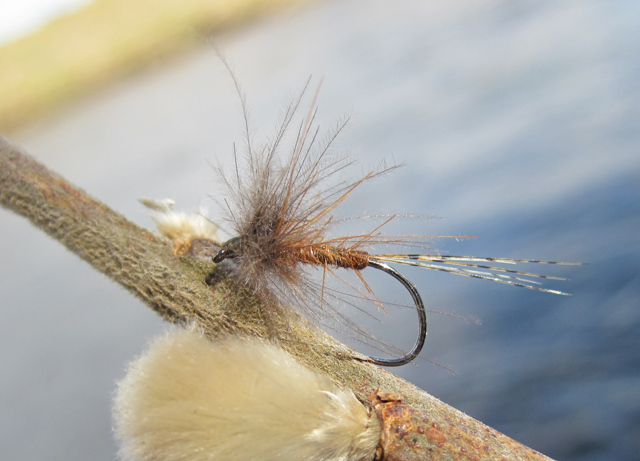 Do you put something behind the hackle to 'hold it up' ? Nope, it’s a spun collar and does the job just lovely. That was the simplified version for folk without a dubbing spinner. 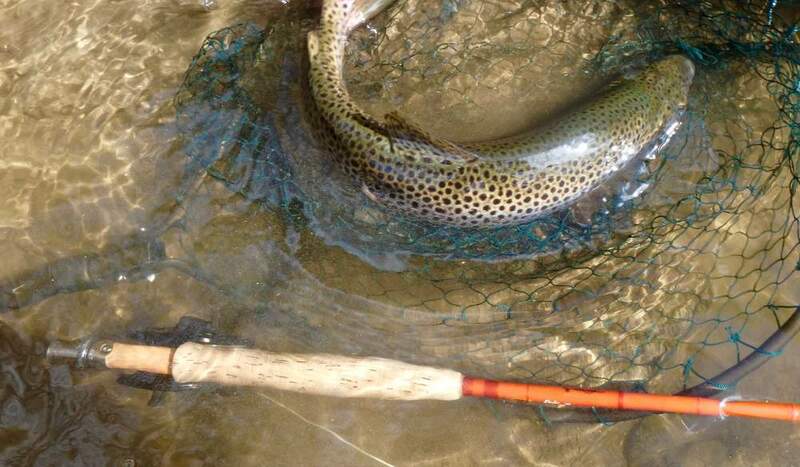 Had a couple of grand days out on the river, and with decent hatches of LDOs, picked up a few good trouts. 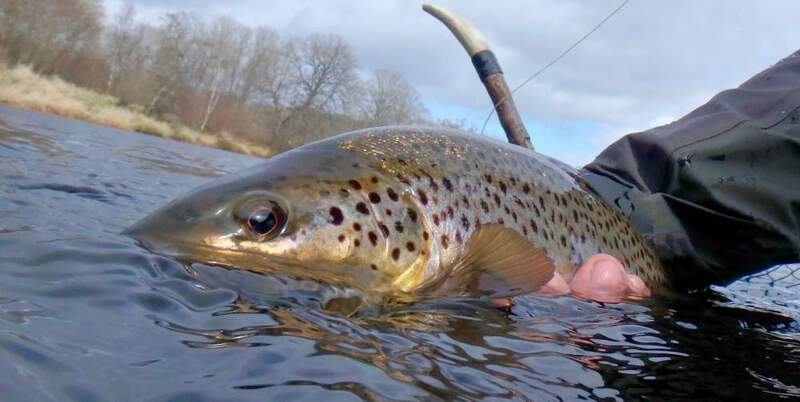 Had late afternoon fish of 3.75lbs on consecutive days - very much worth waiting around for in the cold! back in the office today, sigh!